I started doing CrossFit in 2013 and it has had a tremendous impact on my life. The box quickly became my home away from home, my outlet or even “safe place”. My goal is to be able to offer the same to our members. Getting outside of my comfort zone and pushing my limits is something that I now welcome and it has yielded great results both inside and outside of the gym. It will be an honor to be able to share this with you. Terri began doing CrossFit in 2006 when she was in training at fletc. Prior to attending fletc, Terri was a self proclaimed gym rat who swam competitively in high school and has trained for and completed both half marathons and triathlons. Terri obtained her L-1 in 2014 and is passionate about everything that CrossFit community offers to its athletes-the camaraderie, a competitive spirit, and physical and emotional well-being, all tailored to each athlete’s ability levels and personal goals. Dr. Carlyle’s certifications are: CF Level 1 & 2, CF kids, USAW Level 1 & creator of SpinalFit. He is also Board Certified as a Doctor of Chiropractic, Wellness Physician & in Integrated Medicine. He is married to Ali, his favorite exercise partner, and they have 2 teenagers that love to exercise as well. After wanting to do CrossFit for several years, Bryan finally started CrossFit February of 2016. After his first workout and first experience with the assault bike, Bryan was hooked. CrossFit became a place of community and friendship that allowed Bryan to develop his fitness along with his mental health. CrossFit allowed Bryan to get out the stress of the day and helped him overcome both physical and mental challenges. Bryan is married to his beautiful bride Rachel and they have a wonderful black lab named Jade. 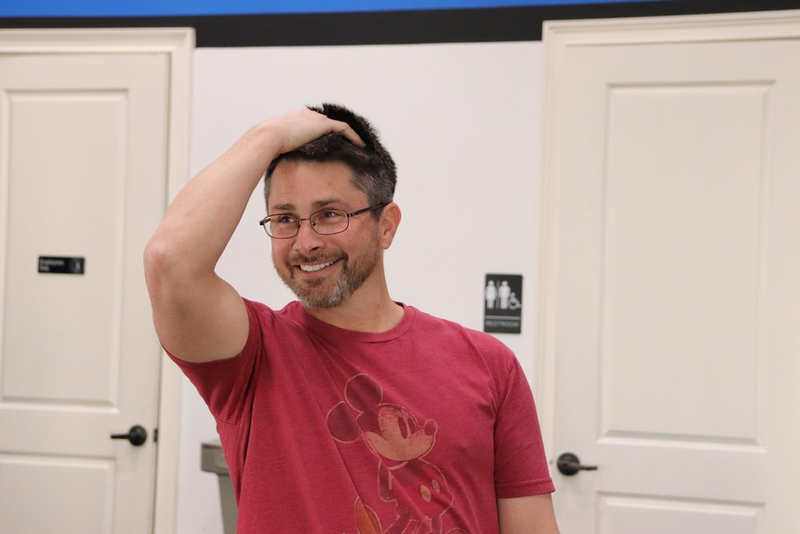 After two years participating in CrossFit class Bryan received his L1 certification on December of 2017 and began coaching the following January. Bryan is passionate about helping people develop beyond what their capacity is and helping them see the potential they have inside both physically and mentally. CrossFit has changed Bryan’s life and he loves coming alongside people to help them realize their goals! Norm is a lifelong athlete and fitness enthusiast who started doing crossfit in 2011 to augment his training for jujitsu and MMA. These days he continues to work on his fitness goals in order to justify his addiction to chocolate milkshakes. Norm is the owner of Kingfisher Paddleventures and lives on Saint Simons Island with his wife, Skye. I’m Savannah, and I’ve been doing CrossFit since 2014. I’ve been coaching at Crossfit St. Simons since October of 2018. I’m currently going to school to become a PTA and will graduate in 2020. My favorite sports are volleyball and obviously Crossfit! I’ve met the best group of people in my time here coaching and I can’t wait to continue to meet more!